Step 1: Prepare the hair with TRESemmé Botanix Nourish and Replenish Shampoo and 24 Hour Body Conditioner to achieve naturally moisturised hair. Apply Keratin Smooth Shine spray to protect hair from the heat and lightly blow dry. Step 2: Section the crown and back comb that part of the hair. Step 3: On one side, take a section and braid it through. Pin it to the back to secure the braid. Step 4: Repeat on the other side. Step 5: Tease the Braid out gently for a more natural look. 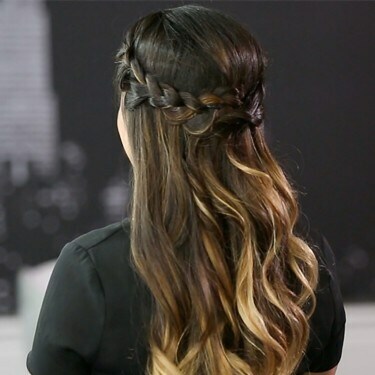 Simple steps to a beautiful braided crown.